The sofa is an important piece of luxury furniture for the home. It provides a comfortable spot for you and your family to relax, bond and have fun. In this modern day, sofas have become the centerpiece of many homes. You can buy a sofa set to complete the overall look of your home. Sofas come in different designs to suit your unique needs. Let’s look at some of these designs. Loveseats are a comfortable piece of furniture designed to accommodate two people. There are different types of loveseats and these variations make room for a number of designs. This sofa doesn’t take up a lot of space. The sectional sofa is very popular nowadays. It has many pieces and can be arranged in different ways. The most common arrangement is the U shape, L-shape, and curved shape. Sectional sofas come in many styles and design made from different materials and you can this sofa low price. The reclining sofa is ideal for you if you work hard during the day and need a sofa to relax on when you get back home. You can use a reclining sofa to watch TV or listen to the radio after work. It provides good support for your neck and back, making it very comfortable for you to fall into a slumber. The convertible sofa is multi-functional and can act as a couch and bed. If you are sitting on it and you need a nap, you can simply change the configuration and convert it into a bed. This sofa is good for a small room because it takes up little space. The Lawson sofa style has pillows at the back separate from the frame. It provides for maximum comfort. These pillows can be moved around to give the level of comfort needed. This sofa resembles a camel’s hump. It has a higher back in the center. The higher back descends in a continuous form into the arms of the sofa. The antique variants of this sofa have exposed wooden legs and arms. This is different in some modern designs. The chaise sofa is a modern version of the sectional sofa. It has a long cushion that seats at an angle from the frame, unlike the sectional sofa that has separate cushions for each space. A user can lie comfortably on a chaise sofa. You can use chaise sofas on your patio or by your poolside. This sofa is usually made of luxurious leather. Its unique feature is high rolled arms, deep buttoning, and low back. There are a variety of designs to match your home’s requirements. In choosing the sofa that is right for you, consider functionality. What will you use it for? How often will you be using the sofa? The number of people that will use the sofa is also important. A long sofa is ideal if you have a large family. A sofa with greater depth is ideal if you need something that you can sleep on. It provides great comfort for you to relax. 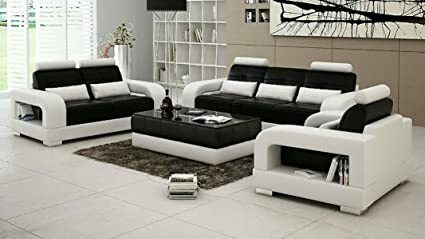 You can purchase sofa set low price from online stores. These stores will deliver your sofa right to your home.